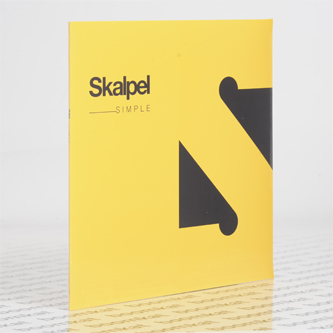 "Skalpel returns with new tunes after a lengthy sabbatical. Their trademark was referencing a rich heritage of Polish jazz of the 1960s and the 1970s, with inspiration taken from the likes of Komeda, Stańko, Urbaniak and molding all of those retro ideas into their own original vision of contemporary sound. After a few years break Skalpel is back with brand new tracks to be released later in the year on 'Transit' - their forthcoming album - but first off the new EP 'Simple' provides a little sample of their new sound and contains three extra tracks that will not feature on the album, a remix and an intro."